discussing Israel Bonds’ impact on Israel’s economic success and development as a global leader. 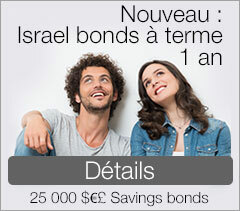 Like other bonds, investing in Israel Bonds puts your capital at risk. The statements expressed in this video represent the personal opinion of Israel Maimon. Israel Bonds has neither verified this information nor makes any guarantee to its accuracy.